Freshly-stocked with wholesome salads, brekkies, soups and smoothies every day. When is a vending machine not just a vending machine? When it's a self-service cafe. 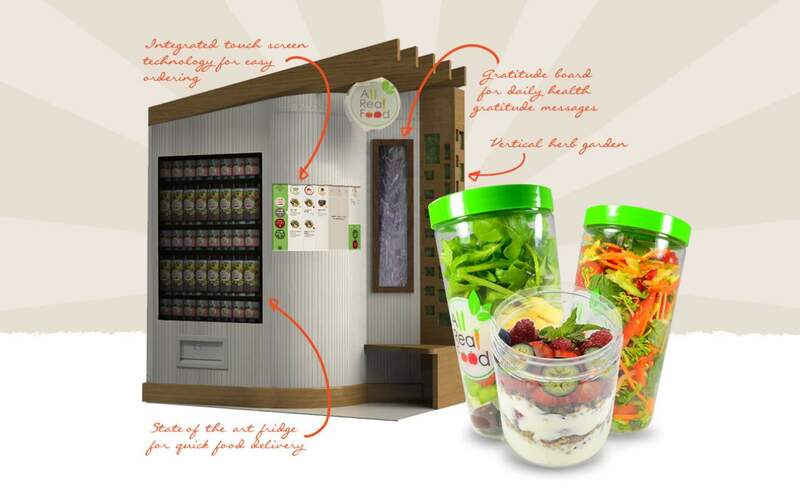 That's not just marketing jargon — that's what health food merchants All Real Food are calling their automated eateries, and it's a name that fits. But you won't find the usual chips, chocolate and cans of soft drink on their shelves. With no junk food in sight, what you'll find instead are delicious, healthy snacks and meals, all freshly packaged and stocked each and every day. 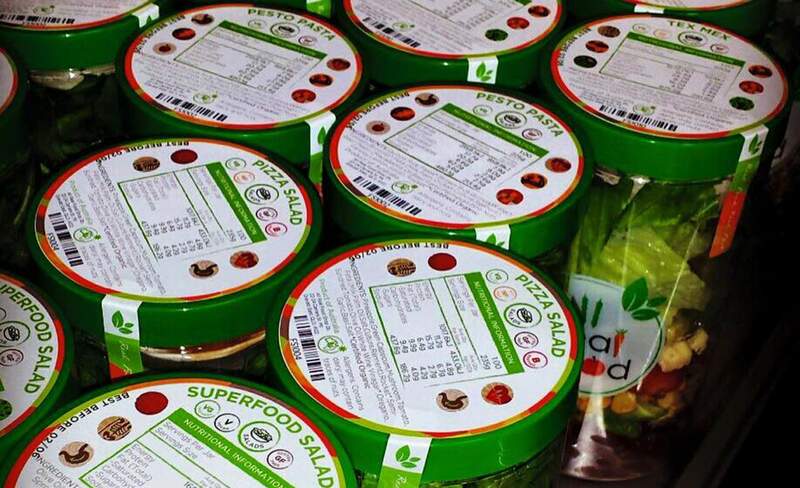 All Real Food is known for their green-lidded jars filled with salads and smoothies, and that's exactly what their vending machines will be serving. Customers at That Little Place in Mount Gravatt East and Flannerys Natural and Organic Supermarket in Taringa should already be familiar with the Brisbane-based business's range, which also includes ready-to-go breakfasts and sweets, and will soon boast soups, too. The idea to make their nutritious treats available in more locations and at the press of a button is a stroke of genius — and one that anyone who's ever had the hankering for a healthy snack while they're out and about will be grateful for. 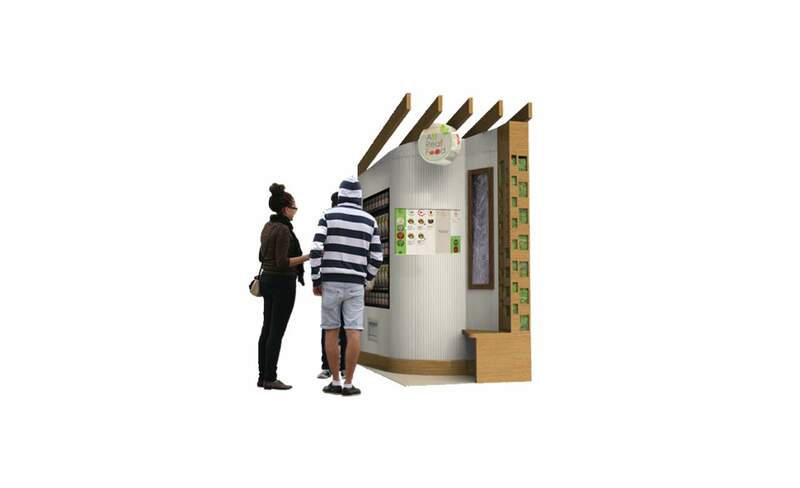 Their touchscreen machines also feature a vertical herb garden to bring you back in touch with nature, and a gratitude board filled with health tips and inspiring messages that change daily. Just where and when they'll start popping up all over Brisbane is yet to be determined, but one thing is certain: eating on the run has never been so appetising (or so good for you). For more information about All Real Food's self-service cafe, visit their website.